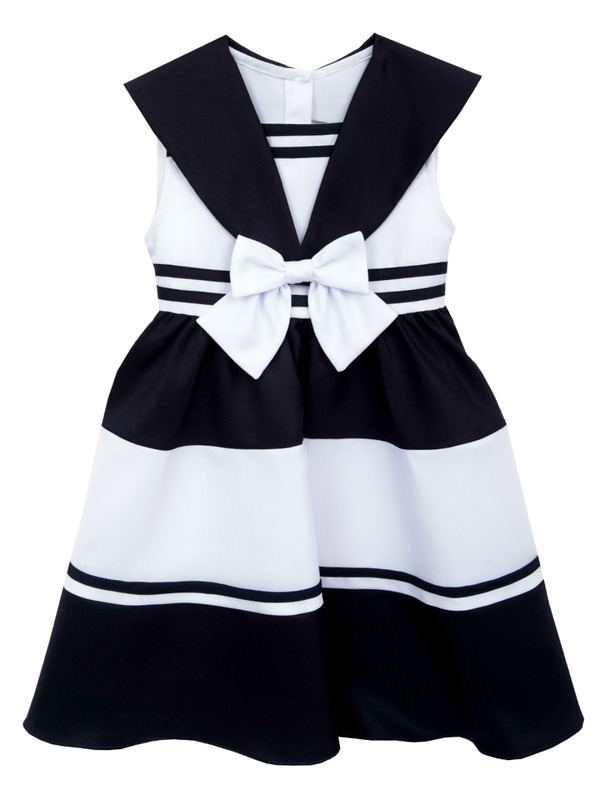 Fabulous girls nautical sailor dress in a classic sleeveless style with wide navy and white stripes, sailor collar and white nautical bow. Navy pinstripe accents. Back zip closure and lined. Perfect for Easter, homecomings or any occasion!